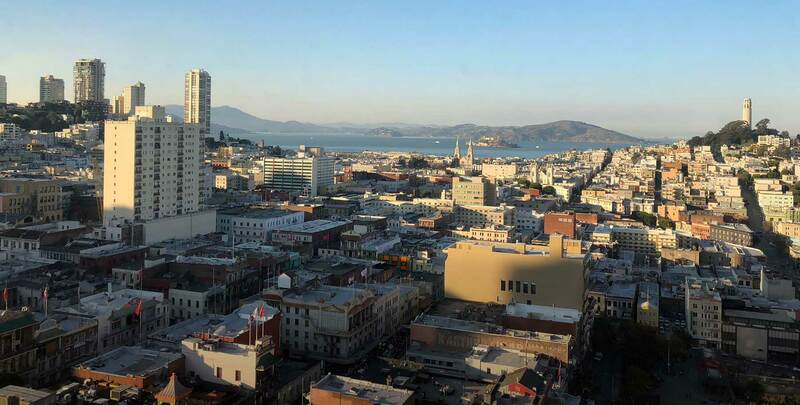 Responding to an urgent need for space brought on by an increase in projects and employees, Flad's San Francisco office will depart its eighth-floor space at 650 California Street to occupy the building's entire 17th floor. Beginning January 15, Flad's employees will take over space that, at capacity, will be able to accommodate between 70 and 75 people. Flad San Francisco's new digs will feature a similar open plan and an increase in the amount of shared space for collaboration: three conference rooms, two huddle rooms and three critique areas. Views of the Bay Area, already notable to the point that Architectural Digest included 650 California Street in its list of "23 Breathtaking Office Views from Around the World" in March 2017, will presumably get even better with the new office's higher elevation.